Kristen's Letter to her daughters this Holiday Season! GLIDE Co-Executive Director Kristen Growney Yamamoto shares a special message of love and generosity this holiday season! I couldn’t wait to come home last Friday to give you a hug. I could hardly stand to know that you were at school, and not with me where I could squeeze you tight and know you were safe. Parenting taught me the feeling of unconditional love *and* that children are born unconditionally loving. I am so impressed by your embracement of community, empathy, and accepting differences. You are insanely accepting of others, just as they are. You make me a better person to feel the extension of your acceptance and the magic you see everywhere. I wonder…where do we lose this acceptance along the path of life to be reintroduced to it as parents? Christmas is next week and I know you are super-excited for a new kitten, roller skates and a horse veterinarian kit. I can’t wait to see the happiness in your eyes when you see your gifts under the Christmas tree and open your surprises. I hope you are also learning that Christmas is about generosity and sharing. As we are generous with those we know, we can also be generous with those we do not know. Generosity comes in many forms, with time, with money, and with heart and spirit. This year you donated new toys and books to others. Your father and I are proud of your generosity and empathy. 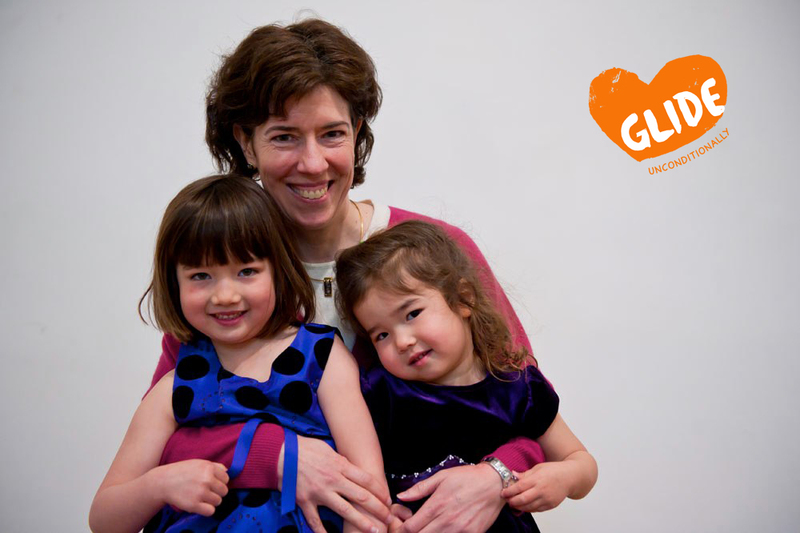 At GLIDE, unconditional love and acceptance are the foundation of our work. Peanut told me this morning that she dreams about fairies who share with everyone when she is sleeping. May you continue your journey and never lose your unquestioning acceptance, love, and belief in magic.